LERC faculty conduct research on issues related to employment, labor relations, economic affairs, race and gender in the workplace, and workers’ legal rights. Our studies and reports have been used by academics, unions, government agencies, community organizations, and elected officials in developing policies and programs that address the needs of working Oregonians. As the following studies and reports indicate, LERC faculty members possess wide-ranging scholarly and research expertise. We are committed to making this expertise readily available to the University community and the broader Oregon community, as an essential element of our public service. In September 2017, Gordon Lafer co-authored an academic paper together with former US Department of Labor Chief Economist Heidi Shierholz. The paper, titled What union coverage numbers might look like without NLRA preemption, is available for download here. The paper addresses recent suggestions that effective union representation might be improved by waiving federal preemption under the National Labor Relations Act, and allowing states to set private sector labor law, as they do for the public sector. The paper was presented at a conference of the Harvard University Labor & Worklife Program, and is slated for publication in a special issue of the online Harvard Law Journal. “Spending Blind,” by Gordon Lafer of LERC, was published in April, 2017 by The Public Interest. It’s the first study of its kind in the country, and examines how hundreds of millions of dollars are spent every year on renting, leasing or building buildings for California charter schools, but it all takes place without any effective policy guidance. Schools get built regardless of whether they have a good or bad track record in education, regardless of whether there is need for another school in the community or whether there are already enough seats for all the kids who need one. In this way, desperately-needed education dollars are being wasted by paying to open schools that in many cases are both not needed for the population of students and do not provide an education that is new, different or better than what is already available in nearby public schools. In the aftermath of the 2010 Citizens United decision, it’s become commonplace to note the growing political dominance of a small segment of the economic elite. But what exactly are those members of the elite doing with their newfound influence? 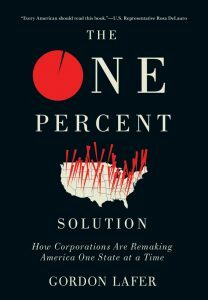 The One Percent Solution provides an answer to this question for the first time. 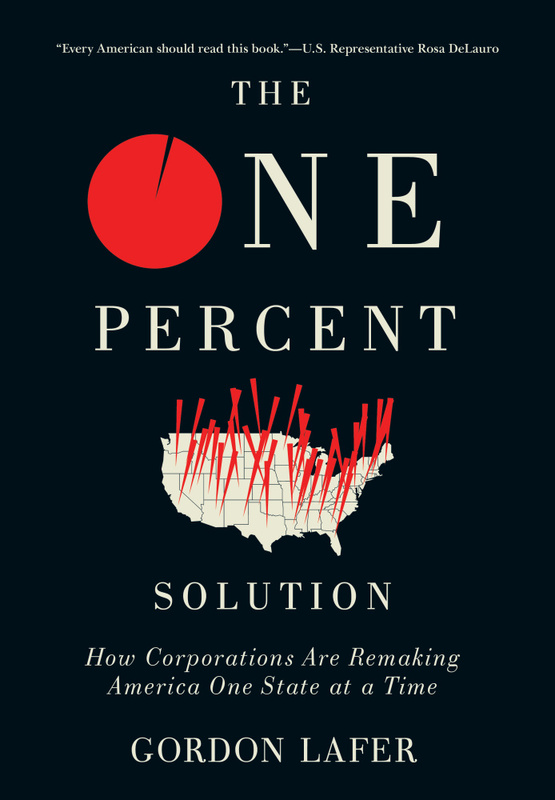 Gordon Lafer’s book is a comprehensive account of legislation promoted by the nation’s biggest corporate lobbies across all fifty state legislatures and encompassing a wide range of labor and economic policies. The LERC Monograph Series on public sector labor relations includes definitive research and commentary on the workings of Oregon’s Public Employee Collective Bargaining Act (PECBA) by labor and management advocates as well as neutrals.